Pulling A Lever Or Rethinking Ourself? Presenting Or Creating Holding Environments? Is learning an internal or an external job? What is the proof that a person has learned something? Picking up a hot dish with bare hands and getting burned is bad, you’re not likely to repeat that behavior often. Using potholders to lift the hot dish leads to positive reinforcement; the objective of moving the dish without pain is accomplished. The person has learned the technique of using potholders. But is it this really true? Is the observation of a different behavior enough evidence of learning? Note the importance of this question and of its assumption: is learning about changing people’s behaviors or it is about changing the way people see themselves? What are the implications for learning for your team if we hold those two very different ideas: learning is changing a behavior Vs. learning is changing how people see themselves? How do people learn? 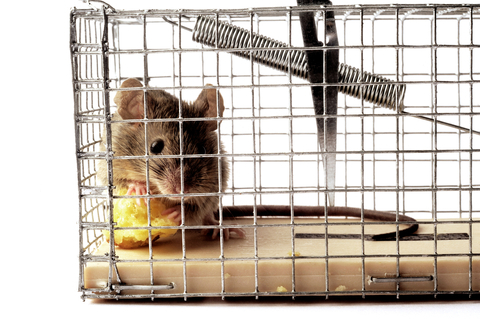 Most of the old, traditional theory of learning is based on, well, mice and on the assumption that mice (and by odd extension, people) learn as a consequence of their actions—a behaviorist approach: the mouse has pulled the lever, therefore it has learned. Many training programs based on this view include such things as presenting key concepts, feedback and positive reinforcement. Basically we tell you the things to learn, you might practice, and if in real life you apply your lessons then … you’ve learned. In this type of learning, the individual engages in a behavior, and the behavior that leads to positive reinforcement or reward tends to be repeated. Doesn’t it seem a little too simplistic? Yet this idea of learning is prevalent in many organizations; training as a way to direct people towards a behavior. But where’s the space for creativity, personal touch, emotional intelligence, spirituality and authenticity in all this? Some might argue that these do not belong in a work space, but be honest, do you like the emotionless greeting you receive when you walk into a McDonald’s? Perhaps more to the point, is there some advantage or benefit to be gained by the organization by training with a different approach? Do we get better results? What if we believe that learning is about changing how we see ourselves? This idea maintains that most learning is more complex than merely a response to a stimulus. Because humans think while they are learning, a variety of factors come into play during the learning process. If learning is about understanding and ordering the meaning of our experience, then our training session will have to encourage building meaning in order to deal with reality more productively. Critical elements of this way of learning are contextual understanding, critical reflections on assumptions, and validating meaning by assessing reasons and understanding feelings. If we hold these ideas, then our training/learning sessions can’t be about presenting ideas and concepts and the creation of the learning space as a special place for learning become critical. The work becomes a holding environments to test these ideas and concepts in a safe space. This is a place where we live in the possibility of a change and ask as many questions as possible while we reflect on what the change itself means. What is your own idea of learning: type 1 or type 2? How does it impact the way you see your team at work and you influence it?